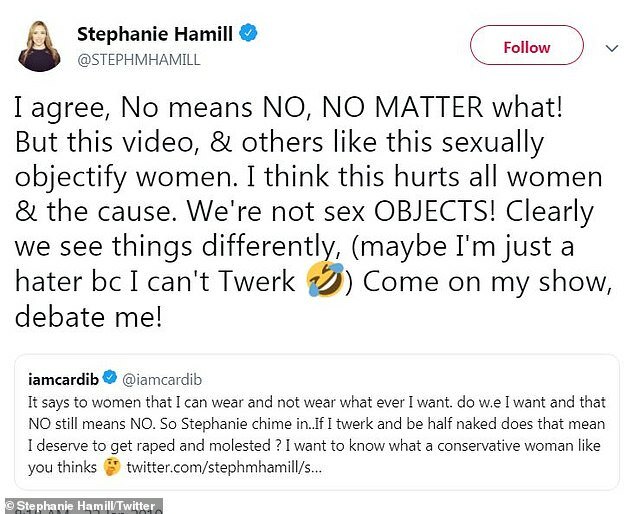 Cardi B clapped back at yet another conservative coming for her on Twitter, this time Daily Caller video columnist Stephanie Hamill about twerking in the #MeToo era. 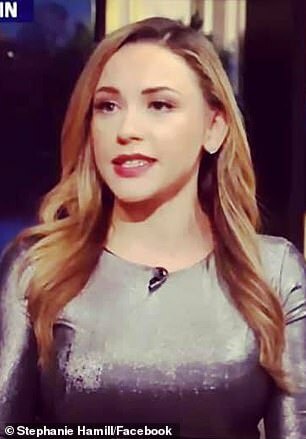 The 32-year-old Donald Trump supporter was outraged over the 26-year-old hip hop star shaking her booty in City Girls' Twerk music video, which amassed 22.8 million views since dropping last Wednesday. 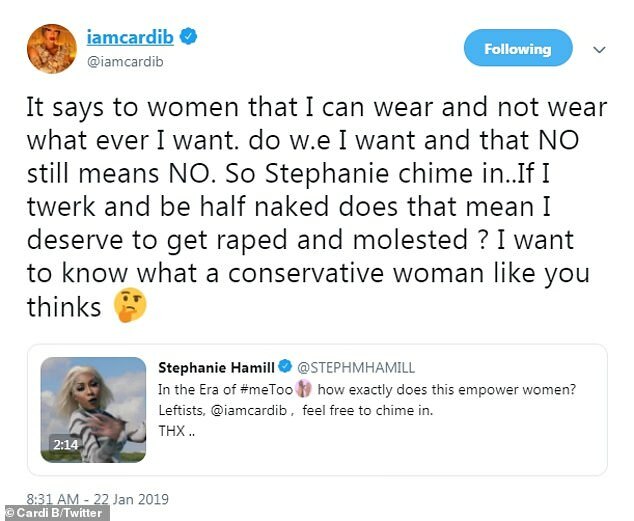 Cardi - born Belcalis Almánzar - reminded Stephanie that regardless of how a woman dresses and acts, she must verbally consent to any sexual interaction. 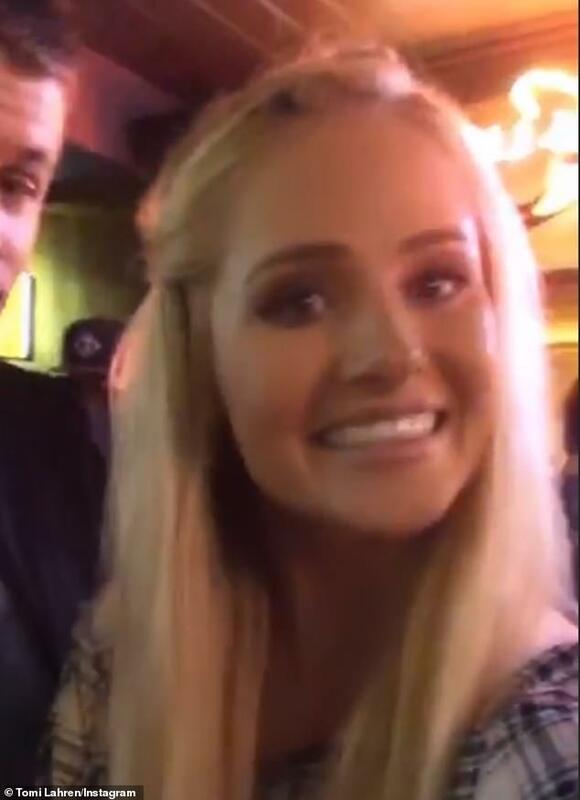 'It says to women that I can wear and not wear what ever I want. do w.e I want and that NO still means NO,' the former stripper - who boasts 59.8 million followers - tweeted on Tuesday. 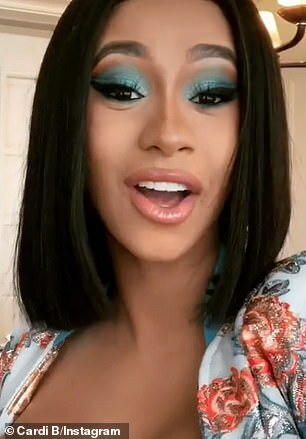 Rather than accept her invitation, Cardi vented over conservatives 'harassing' her and writing 'disgusting things' to her over the last few days. 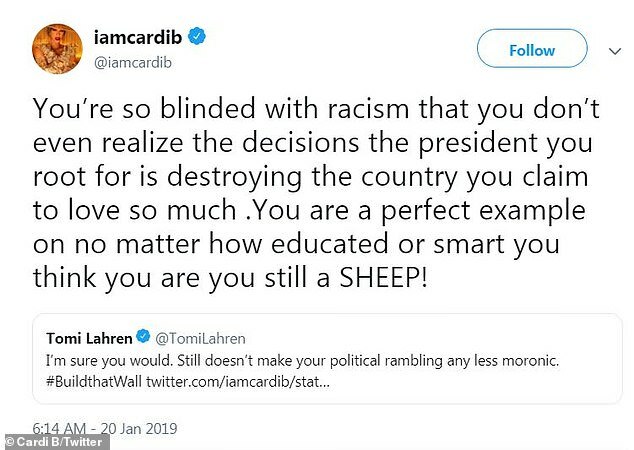 'Listen I'm not telling ya to turn liberal,' the Money rapper tweeted. Meanwhile, the Love & Hip Hop: New York alum admitted via Insta-story on Tuesday that she 'wanna go home' to estranged husband Offset and their six-month-old daughter Kulture Kiari Cephus. The Girls Like You star had previously announced she split with the 27-year-old Migos rapper on December 4 - just three months after their wedding and 10 months after meeting. Offset (born Kiari Cephus) also fathered three children - twins Kody & Kalea, 3; and Jordan, 7 - from prior relationships. Careerwise, Cardi pulled an all-nighter on the set of a mystery project helmed by director Flo Dechard and shot by cinematographer Joseph Labisi. The Colin Kaepernick supporter will next headline the Bud Light Super Bowl LIII Music Fest in Atlanta on February 2 alongside Migos. The 'Pepsi brand ambassador' is also up for five trophies - including record of the year - at the 61st Annual Grammy Awards, which air February 10 on CBS.